RubyConf Australia – 2013. Work hard party harder! | Josh Software – Where Programming is an Art! ← [Field Visit] Berendina MFI and UnitedProsperity improves the quality of live in Sri Lanka. RubyConf Australia – 2013. Work hard party harder! If you don’t remember eating anything for 3 days and the post-conference party beer bill is $12k, you know the conference has been a success! The conference was organized very well and the constant flow of coffee, snacks and great lunches kept everyone in conference spirit. The only thing I did not like was that there was no wifi!! (Guys – thats a pre-requisite. Hopefully next time). The hotel was an excellent choice and was in the City center. The seating for keynotes was perfect, but understandably, some talks got over-crowded – its almost impossible to gauge which talks would require more seating. But, we are techies right? It’s our duty to sit on every inch of space we see in the hall – that’s exactly what happened. The restrooms were never over-crowded (surprising but true – this can be a major problem). 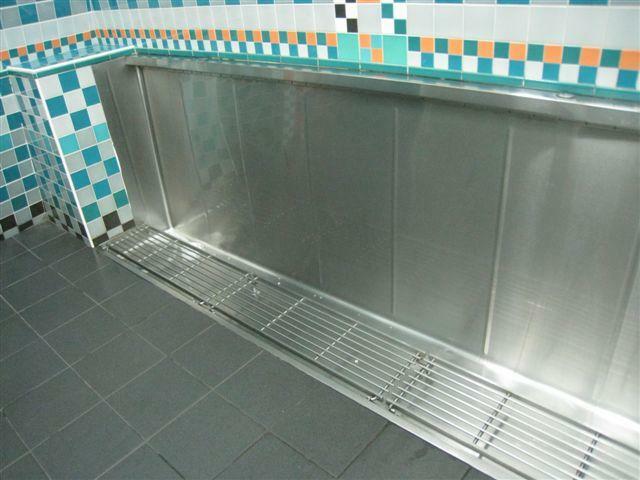 However, and this is for the non-Aussies, there are no urinals here – its a trough!! Wtf! It took me some time to get used to it. Getting serious (I don’t know what that means in Australia) – the talks were good, the keynotes awesome. The talks did range from real-time ruby development, to the state of Ruby (what’s good and whats new), to best practices for making Ruby faster, scaling web applications using the right tools, iOS using RubyMotion and even security issues (what not to install). We even got to see a discussion on ‘intelligent routing’. No talks on tests, importance of Continuous Integration or improving tests. No database or NoSQL centric talks. Acceptable by all means! There were a few talks though which could have been a little better – time management, presentation issues, a couple were just too basic. Some were exceptionally good talks, among them were “Keith and Mario’s Guide to Fast Websites” – excellent presentation skills displayed. “Immutable Ruby” by Michael Failey was nice and informative. Benjamins talk on “Hacking with gems” was crazy – “Don’t install his gems” ! “Thread-safe”, “Parallel processing” and “Speed” was common words in quite a few presentations – take away were usage of gems like hamster for immutable objects , celluloid for concurrency and goliath as a non-blocking web server. A good reference to building web applications was well introduced – 12 factors of Web apps. As websockets are being used in most web Rails apps, an introduction to websocket-rails was great! Github recently introduced boxen for automated laptop setup (currently only Mac) and the talk by Will Farrington was a great one – explaining how they bootstrap people on their first day as well as ensure that everyone has all security patches updated along with the Ruby versions that the company decides on. Since it was two track event, of course I missed some great talks and it would be great if people comment on this post about the talks they liked and dis-liked. Or send me updates and I will update the blog post. Back to a lighter note – the conference did not plan for this I’m sure but the timing was perfect – The Saturday after the conference was White Night Melbourne — an unbelievable carnival of lights, music and dance. And in perfect Aussie style – it started at 7pm and went on till 7am. 1 Response to RubyConf Australia – 2013. Work hard party harder!